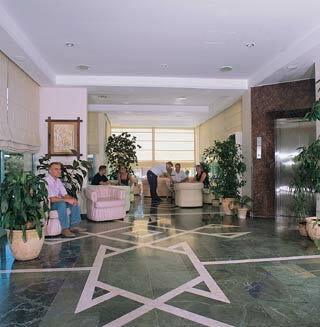 Hotel Sun Beach has a bright, calming reception area with friendly staff to greet you on arrival. Located right on a sandy beach, you can be swimming in the Mediterranean in no time. Alternatively simply soak up the sun on the long sandy beach. 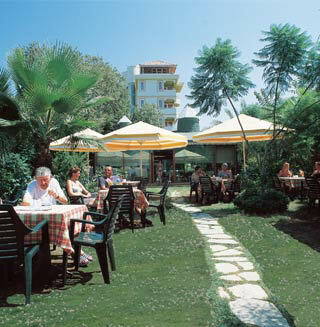 Shops are situated right outside the hotel, resort centre is just 1 km, nearest bars and restaurants 500 m away. 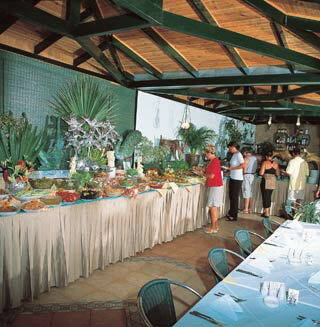 Air-conditioned restaurant , loung, bar, beach snack bar, small pool, garden, sun terrace. Turkish bath /free of charge/ and sauna /payable locally/ in the Sun Beach Park. 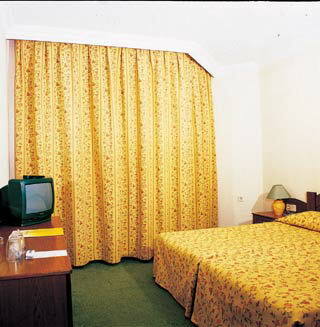 Balcony,telephone, satelliteTV, centrally operated air-conditioning, hairdryer, minibar / consumption payable locally/, safety deposit box. Situtated directly on the sandy beach. Suinbeds, umbrellas and mattrasses available free of charge. Price based on HB or all inclusive. Breakfast, lunch and dinner /buffet style/. Coffee&cake. Local alcoholic and soft drinks from 10.00 till 23.00. Breakfast and dinner /buffet style/.